Viburnums are plants that just keep on giving. While they bloom in the spring, these plants provide enjoyment throughout the year. Vernal flowers develop into colorful summer berries (technically drupes). As the seasons progress, the fruits and flowers of spring and summer provide sustenance for wildlife and the attractive branching habit and autumn colors delight more human eyes. As members of the Adoxaceae or muskroot family, these understory shrubs make their home all across the Northern Hemisphere and even into some parts of the Southern7. While some species occur in Asia and Europe, there are many that are native to New England. But no matter where in the world you are, keep your eyes peeled for local viburnum species. 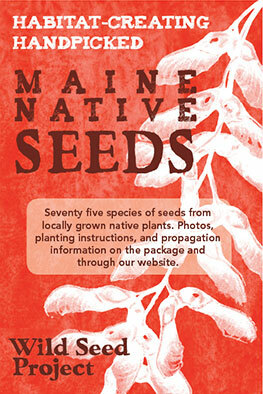 Viburnums range in size from shrubs to small tress, with most native Maine species ranging from 3 to 12 feet4. The leaves of viburnums are oppositely arranged, simple with different leaf margins depending on the species, while its small white-to-pink flowers sometimes bear a musky scent. That said, some of these characteristics can change pretty dramatically between species. 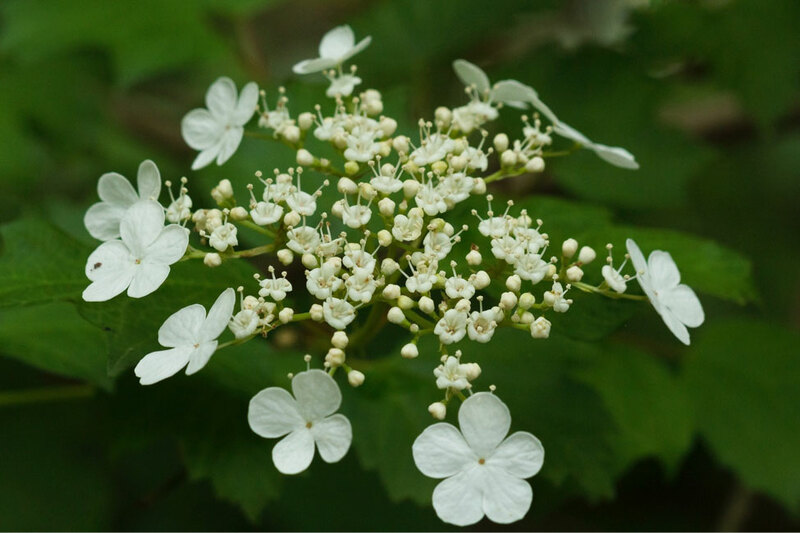 The viburnum’s flowers usually grow in tight clusters, but some species are characterized by large and showy white blossoms ringed around smaller flowers1. The native hobblebush (V. lantanoides and V. trilobum) are two such plants. The smaller internal ring of flowers carries out the reproductive cycle, while the larger, sterile outer ring advertises its wares to potential pollinators3. 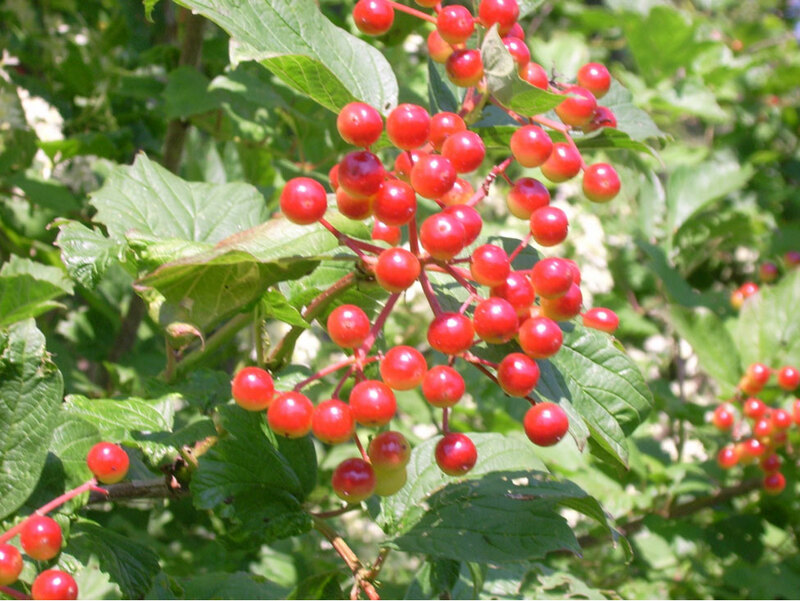 The gorgeous fruits of viburnum are a great summer addition to any garden. 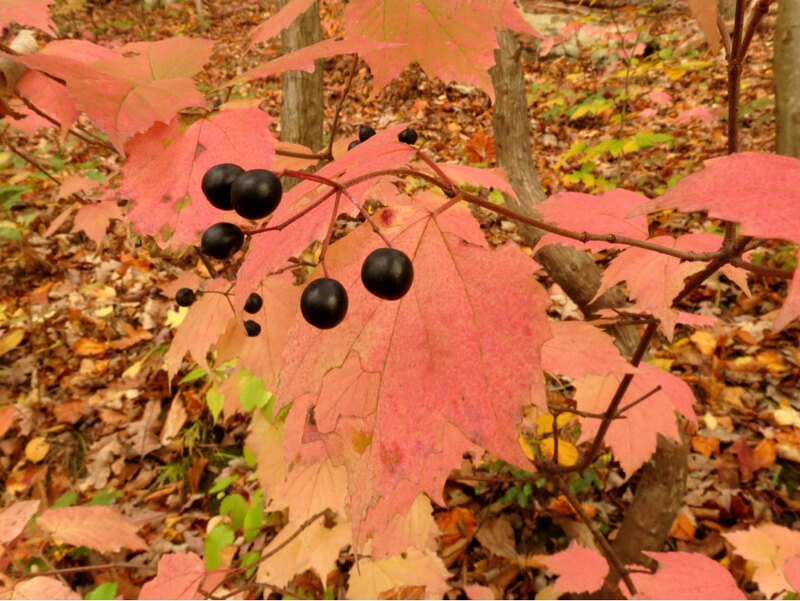 The berries mature to either a rich blue-black or bright red and persist on the branches into winter. Ruffed grouse are known to frequently dine on the berries of highbush cranberry (V. trilobum or V. opulus var. americanum). While not related to cranberries, these fruits are reminiscent of their namesake in their tartness. Careful, though—the berry is edible, but it is best prepared in ways that cut its sour bite. Unripe berries are best for preparation into jellies, jams and sauces3. Viburnums add special visual interest to our gardens with their pleasing shapes and bright colors, but they also encourage wildlife to flourish in our suburban landscapes. Many flying insects partake of the nectar in the floral bunches. Several species of butterflies and moths make an early home on viburnums as larvae. Eggs are deposited on specific plants by adults once they emerge in the spring. The caterpillars then spend the season munching on tender leaf buds and growing fat on the green bounty5. 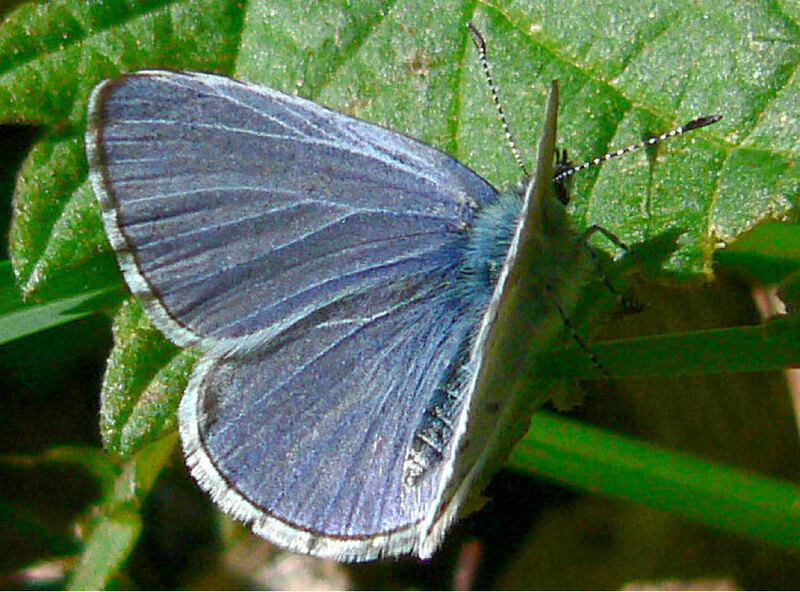 Specifically, the spring azure butterfly (Celastrisna ladon) delights in visiting gardens of native Viburnum and flowering dogwood, and its larva munches on the leaves prior to developing into a shimmering adult5. The snowberry clearwing, a hawk moth, also dines on viburnum leaves as a caterpillar4. Viburnums fulfill an essential role in these creatures lives as host plants. Planting dense viburnums, red or black chokeberries, and native azaleas under large trees allows for the maximization of plant diversity and the wildlife that thrives alongside it5. Viburnum plants have only one major pest: pyrrhalta viburni, the viburnum leaf beetle (VLB). These European insects made their first North American appearance in Ontario, Canada in 1947 and have spread outward to both coasts since. 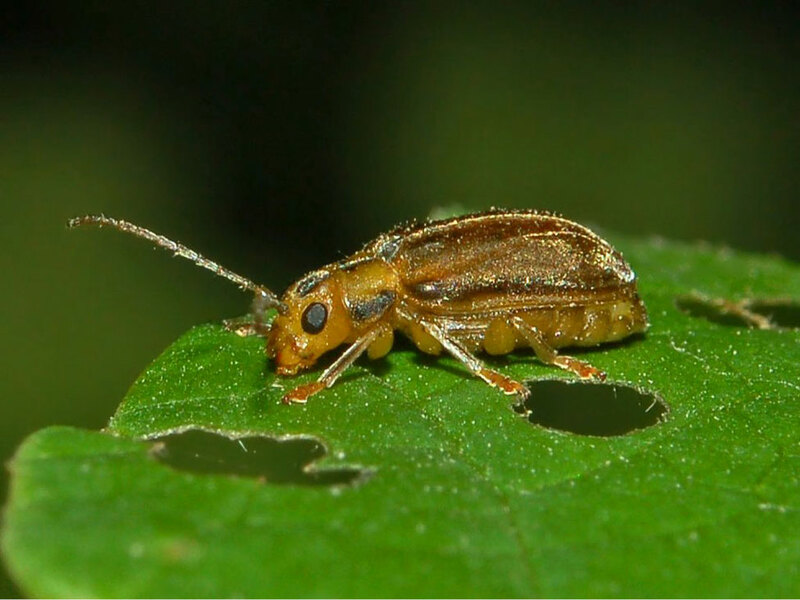 Maine gardeners have been visited by these pests since 1994. The VLB munches on viburnum leaves throughout both of its life stages, and in only one season, an entire plant can be stripped of its leaves. Multiple years of the VLB’s attack will eventually kill the plant1. 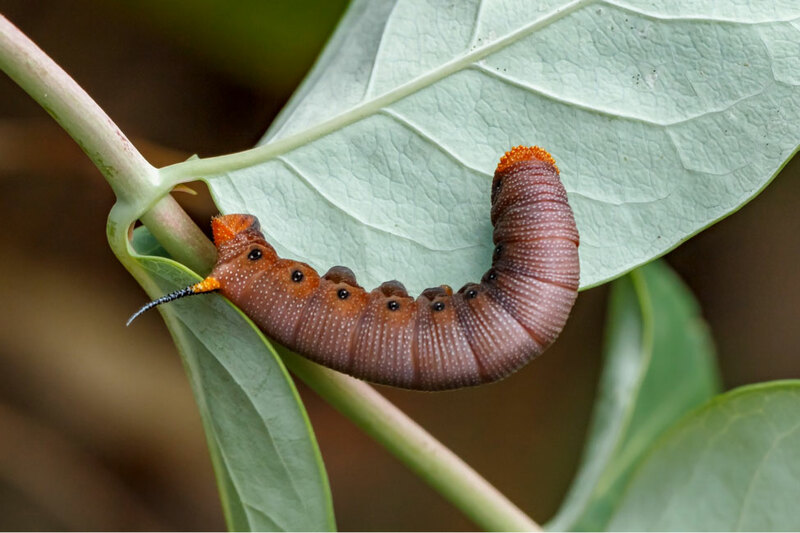 One way to prevent the VLB from devouring your garden is to plant Viburnum species with resistance to these pests. 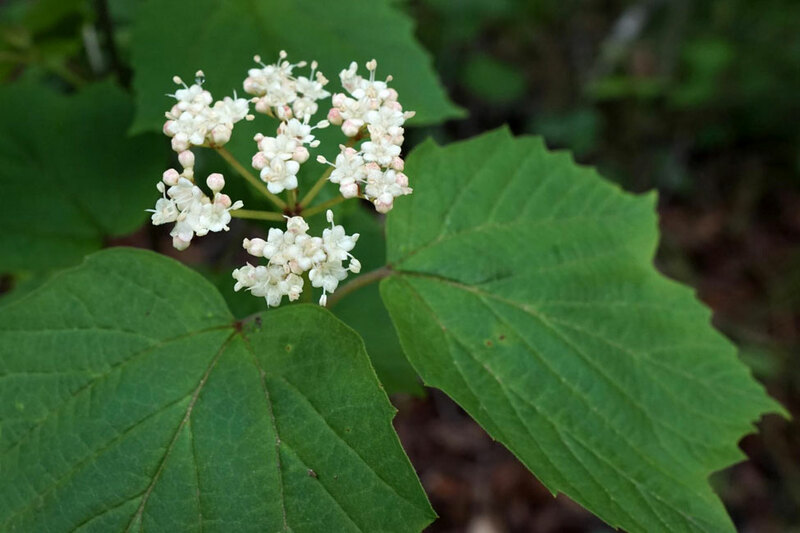 Native viburnums that carry some resistance to the beetle include: hobblebush (V. alnifolium); witherod (V. cassinoides); nannyberry (V. lentago)1. While these plants are less susceptible to the VLB, they still require a bit of care. 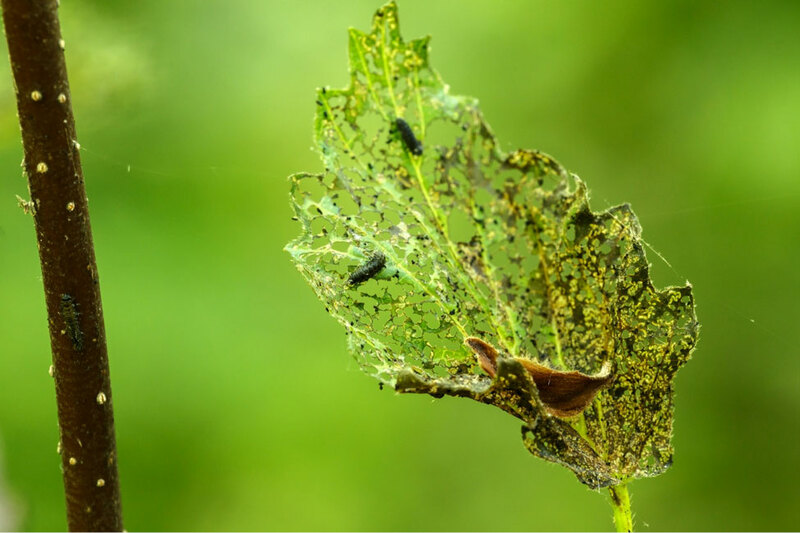 Inspecting the plants tips during the winter will reveal raised bumps in uniform lines; these bumps contain the egg sacs for the VLB. Hand-trimming out any infested tips should allow the plant to thrive for rest of the year1. With all their great features, from beautiful berries to colorful fall leaves, Viburnums are a perfect fit for the Maine garden. And with just a bit of winter care, these native plants will attract and benefit all types of life year-round. Josh Steele fell in love with the natural beauty of Maine after moving from the West Coast in 2016. He first discovered his fascination with native plants while studying serpentine buckwheats in Rancho Santa Ana Botanical Garden at Claremont University, where he earned his M.S. in Botany. He currently manages an insect development lab at a liberal arts college in Maine and writes about plant and insect evolution for bugsinourbackyard.org, a citizen science engagement website. Cornell University. Viburnum Leaf Beetle (VLB). 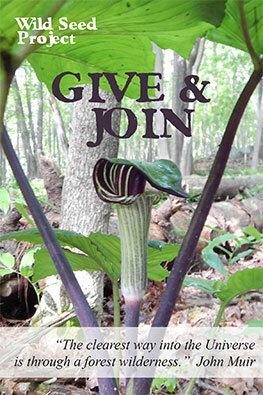 http://www.hort.cornell.edu/vlb/manage.html, accessed May 15, 2018. Dirr, M. 1998. Manual of Woody Landscape Plants: Their Identification, Ornamental Characteristics, Culture, Propagation and Uses. Stipes Publishing. Go Botany. Viburnum. 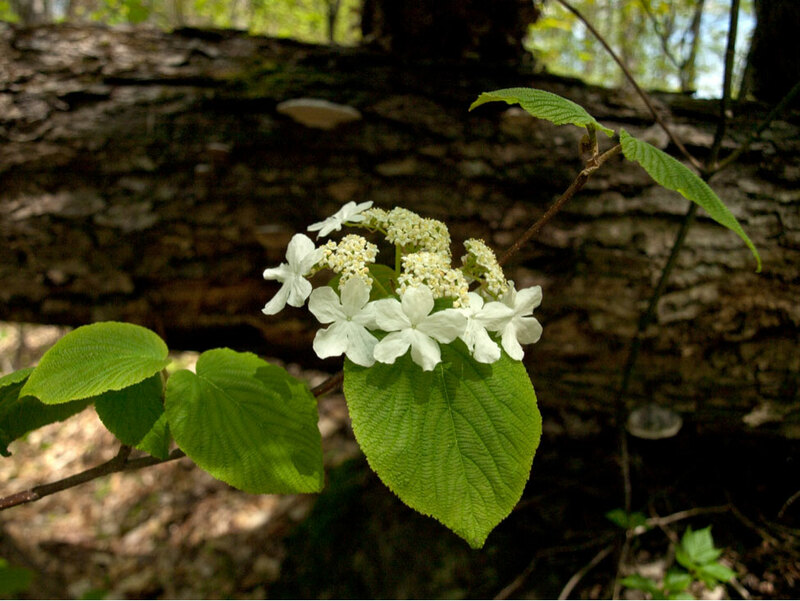 https://gobotany.newenglandwild.org/species/viburnum/acerifolium/, accessed May 15, 2018. Siedenberg, C. 1995. The Wildlife Garden: Planning for Backyard Habitats. University of Mississippi, Jackson, Miss. Tallamy, D. 2009. 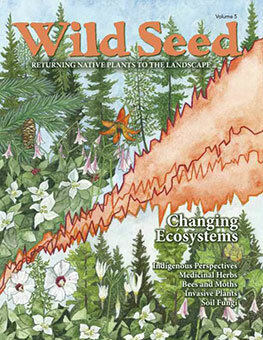 Bringing Nature Home: How You Can Sustain Wildlife with Native Plants, Updated and Expanded. Timber Press. Winkworth, R., and Donoghue, M. 2005. Viburnum Phylogeny Based on Combined Molecular Data: Implications for Taxonomy and Biogeography. American Journal of Botany 92(4): 653–666.